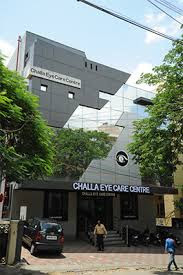 Dry Eyes Clinics Treatment Hyderabad | Challa Eye Care Centre. Comprehensive Diagnostics for Dry Eyes (OSD-Ocular Surface Disease) & Latest Management Protocols including Punctal Plugs. Dry eye disease is one the most under-diagnosed eye diseases, and yet it is the most common reason why patient go see their eye doctor. What is Computer Vision Syndrome ?